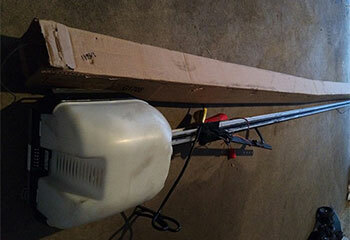 Have your garage door expertly repaired! 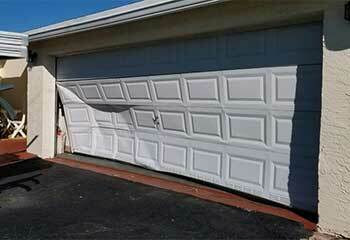 We have the expertise to repair any type of garage door malfunction! Scroll down this page to see more details on our recent projects in Richmond and the area. Customer Issue: One of the door tracks was so bent it was preventing the rollers from moving and the door couldn’t open past a certain point. Our Solution: After making sure the door was secured in place and that the electric opener was disconnected as a safety precaution, our technicians removed the damaged track and its counterpart and installed two new sections that suited the door’s weight. Our Solution: We had a new torsion spring ready to go and removed the pieces of the original one after disconnecting the opener. 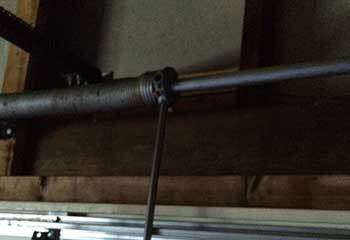 Once the new spring was installed, we inspected the others to ensure they were in good shape. Customer Issue: Required a Door Replacement. 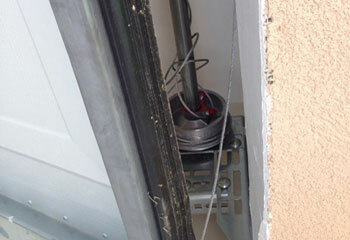 Our Solution: Customer had bought a steel Clopay door that needed to be fitted in place of a damaged unit. We have removed the damaged door and installed the new one before testing the unit to make sure everything is working to the customer’s satisfaction. Our Solution: We have assessed the situation and carried out the replacement process. Afterwards, we did the trial and error check to ensure the door operates at the right tension and without obstructions. 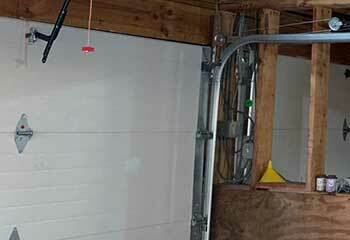 Our Solution: We took our time mounting the new chain-driven Genie SilentMax 750 opener onto the garage ceiling, aligning the unit’s rail correctly with the center of the door. Afterwards, we ensured the mechanism works smoothly and maintains balance.